The pneumatics controller includes a three-state pneumatic circuit: pressure fill / purge; vacuum purge; and operating pressure control. A precision regulator is used to create the correct static pressure for drop-on-demand operation, regardless of the reservoir location and fluid level. The temperature controllers can be used to control printhead temperature(s) and substrate temperature(s). Configurations with up to four independent pressure control channels and up to four temperature controllers are available. 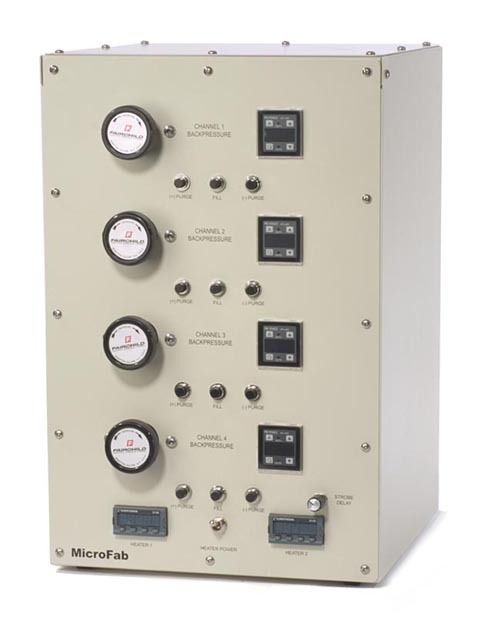 Manual and electronic pressure control configurations are available. 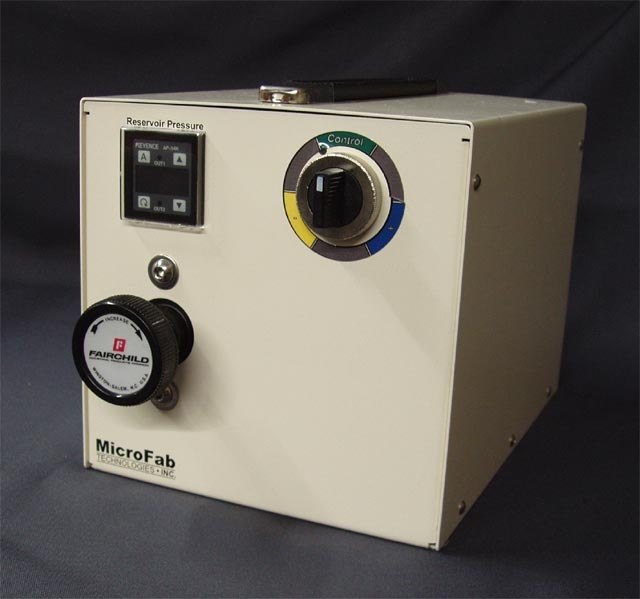 Pressure / Thermal Controller with one manual pneumatic channel: precision regulator and Pressure Mode Selector. No temperature controllers. Add up to two T-01 temperature controllers. Electronic Pressure Controller and Pressure Mode Selector, single channel. USB interface. Electronic Pressure Controller, manual Pressure Mode Selector, single channel. USB interface. 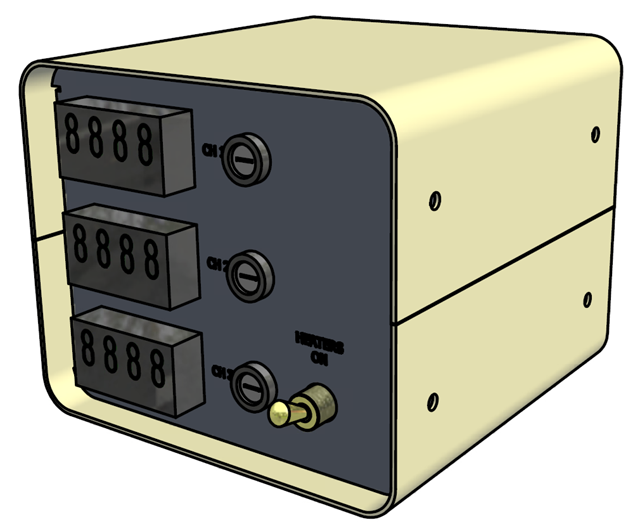 Four channel Pressure / Thermal Controller, base unit (no pneumatics channels and no temperature controllers). Add up to four (4) CP-01 manual pneumatic channels and up to three (3) T-01 temperature controllers. Manual pneumatics control channel for CT-PT4 (precision regulator and Pressure Mode Selector). 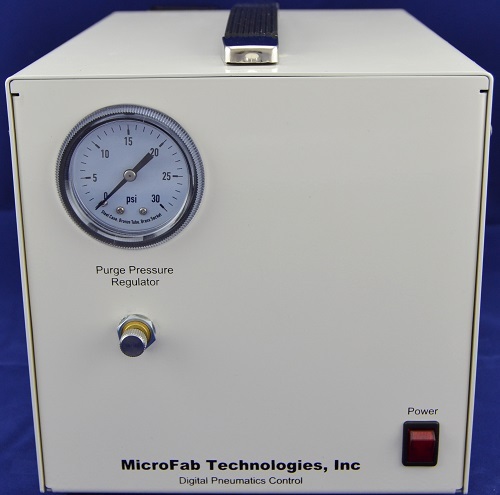 Pressure / vacuum pump for jetlab® Printing Systems and microdispensing subsystems. Enclosure for temperature controllers. Select from x=1-3. Includes power switches, fuses, power cord, and connectors for heaters and thermocouples. Temperature controller for CT-PT-21, CT-PT-04, and T-ENCL-x.